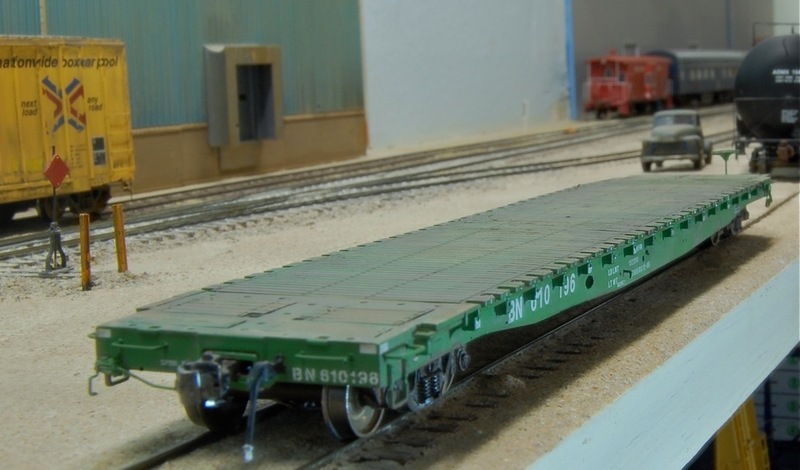 Recently, Tangent released a new run of flatcars–the GSC 60′ Flat car. B. Smith and I find it to be the finest flat car on the market today. There are a lot of other good ones by Exactrail, Intermountain and Genesis, but Tangent Scale Models just nailed it with this project. Here are a few photos from our layouts of the new car. Here’s the ICG version on my layout. It is essentially stock except I lightly weathered it and installed semi-scale wheels. Tangent really captured the essence of this car! The orange looks perfect to me. 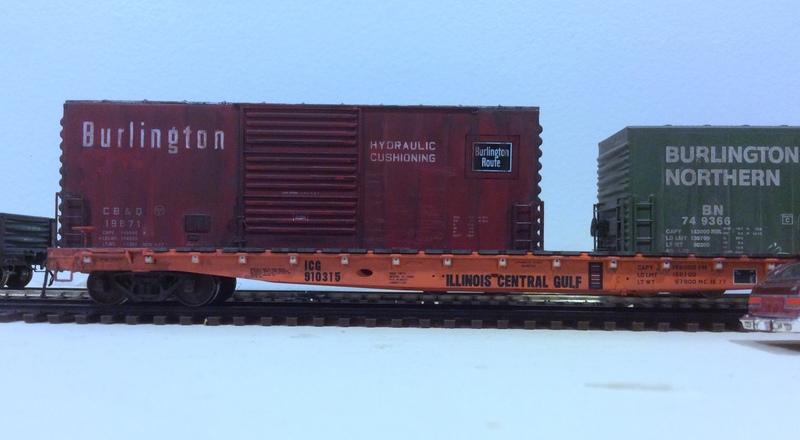 Here’s a few shots of the Burlington Northern model from B. Smith. The BN version is a little too new for my emerging layout era, but it too looks great! Looks great bringing in a load of lumber! Hats off to Tangent Scale Models for another great product!